What's the best way to get the collectors on the roof? For solar heating systems, ensure a well-insulated pipe run to and from the solar panel to reduce heat loss and best performance. A three-yearly inspection, checking the PH level of the antifreeze, seals and joints will provide a long life expectancy. 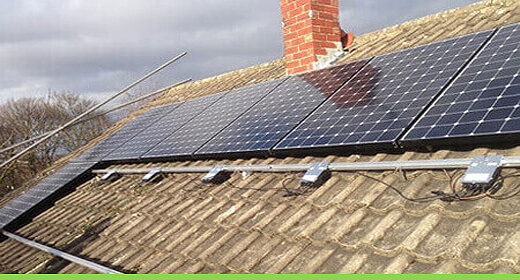 Plumbers and self-installers must have the necessary Part P' qualifications to install a solar heating panel system. The only aspect where you'll need help is the roof fixtures. Which system is easier to install, PV or heating? Do you supply fitting instructions?